Who doesn’t like a good party? Today is my son’s 7th birthday. We had a wonderful time celebrating at the gym with fourteen of his friends! We invited his whole class, and had a great turnout. Now we have tons of new toys (time to get rid of the old ones). Liam is a Lego lover. 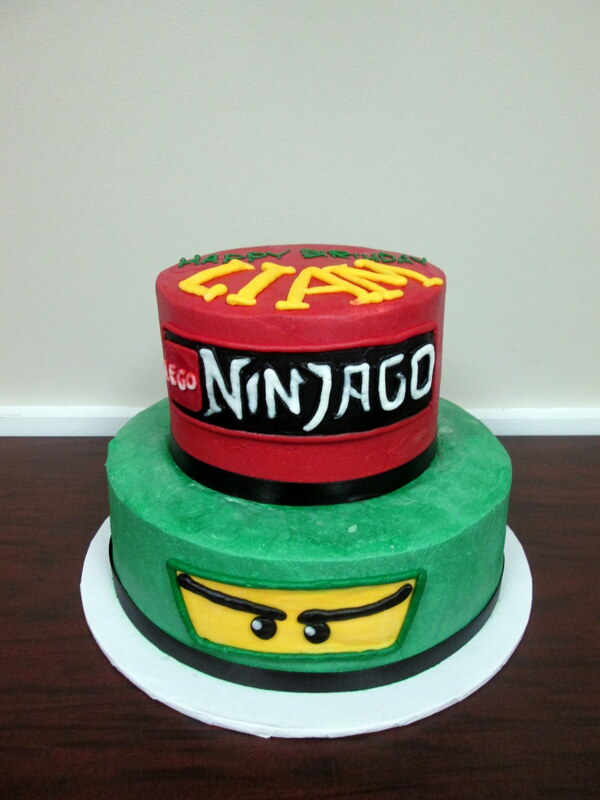 He wanted a Ninjago Party. I went a little crazy when I ordered the cake, but I think it turned out great. We don’t do a lot of “big” friend birthdays, mostly just family, so it was fun to splurge on my middle child a little bit! The top part was vanilla, and the bottom was strawberry (Liam’s favorite). I have photos from the actual party, but I’m not going to post them as they have other people’s kids in them. Needless to say, they had fun tumbling at the gym, jumping on the trampoline, and just generally being kids. And here’s a video of Liam doing what he loves to do best, putting together the Ninjago Lego set we gave him for his birthday. I loved birthday parties like that when I was kid. Did you have BIG birthday parties when you were growing up? Do you have big birthday parties for your kids, or do you mostly do family parties? Share in the comments! Awesome cake! My nephews love Legos as well. I can’t even count the number of sets I have bought for them over the years. The youngest one loves to play with them but prefers to have them put together by me. Especially since I tend to buy him the huge complex kits. Almost went nuts putting together a dragon set last fall. 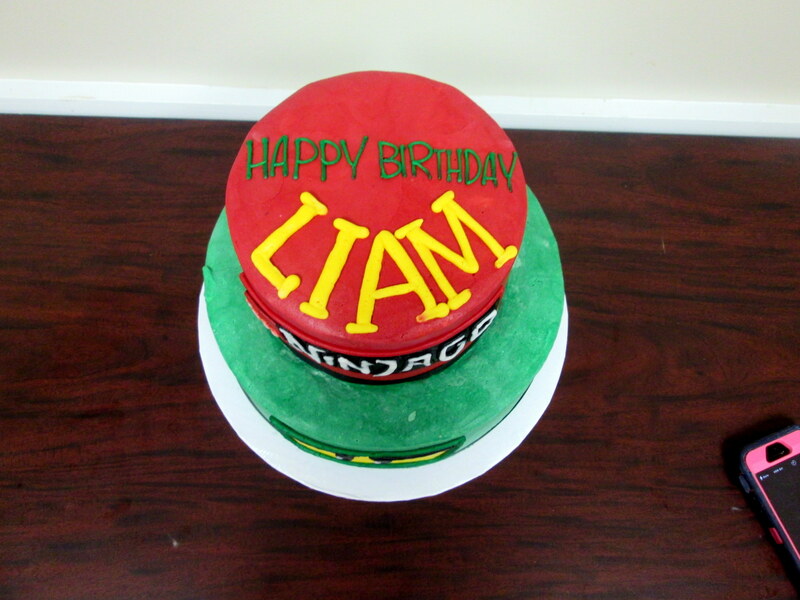 Happy Birthday Liam! Great cake! Sounds like a lot of fun! Happy Birthday to Liam! Sounds like a great party! I don’t remember having a lot of big parties when I was a kid, I was more of a small-group-of-friends type kid. My boys like keeping their parties small, too. “Everything is Awesome” (from the Lego Movie of course! Love the cake and the legos! My 7year old grandson loves them too! We did not have parties other than family growing up. But my kids and grandkids had similar celebrations to your Liam’s every year. I have as much fun as they do! I love celebrations! My boys love that movie! Birthday parties are so fun. Looks like Liam had a very happy birthday. Here’s to many more with just as much fun! My son’s favorite thing at that age was Pokemon. Thanks for making me reminisce about my son, brings a smile to my face. Aww! My nephew loves Pokemon. I’m glad this made you smile.